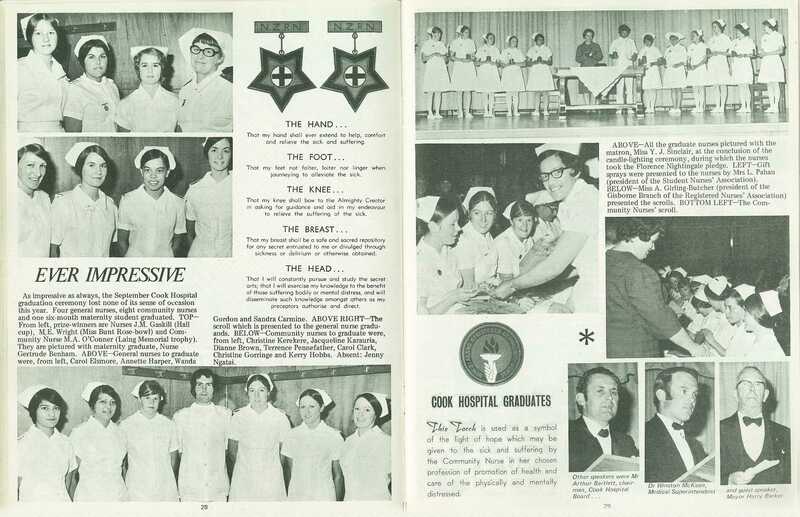 As impressive as always, the September Cook Hospital graduation ceremony lost none of its sense of occasion this year. 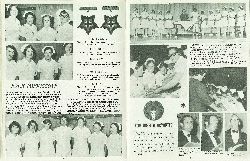 Four general nurses, eight community nurses and one six-month maternity student graduated. That my hand shall ever extend to help, comfort and relieve the sick and suffering. That my feet not falter, loiter nor linger when journeying to alleviate the sick. to relieve the suffering of the sick. sickness or delirium or otherwise obtained. That I will constantly pursue and study the secret arts; that I will exercise my knowledge to the benefit of those suffering bodily or mental distress, and will disseminate such knowledge amongst others as my preceptors authorise and direct. 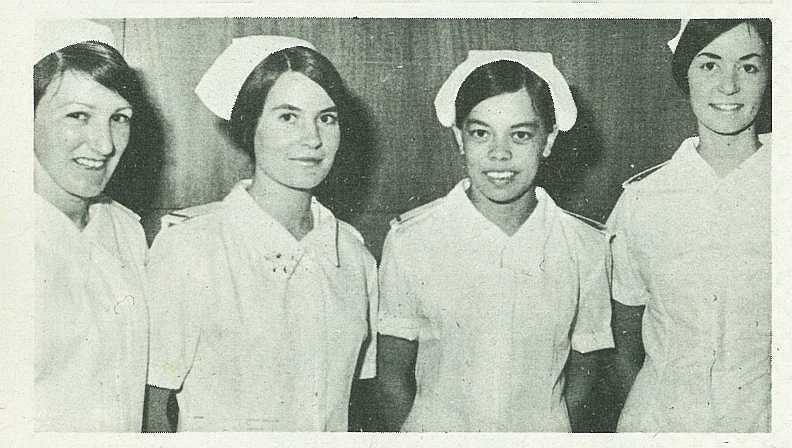 From left, prize-winners are Nurses J. M. Gaskill (Hall cup), M. E. Wright (Miss Bunt Rose-bowl) and Community Nurse M. A. O'Conner (Laing Memorial trophy). They are pictured with maternity graduate, Nurse Gertrude Benham. 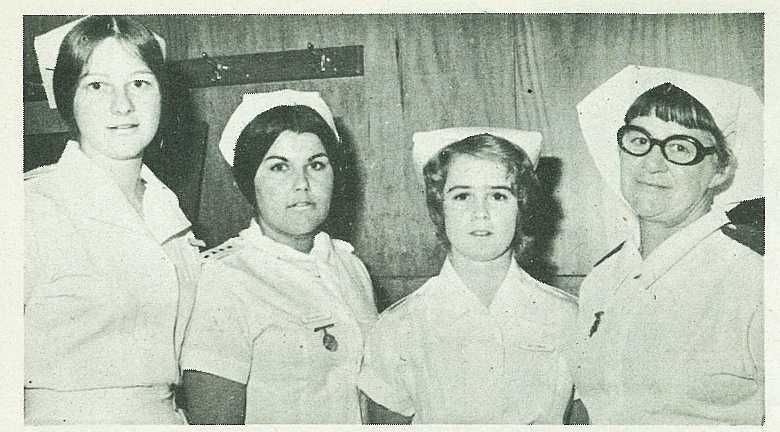 General nurses to graduate were, from left, Carol Elsmore, Annette Harper, Wanda Gordon and Sandra Carmine. The scroll which is presented to the general nurse gradu-ands. 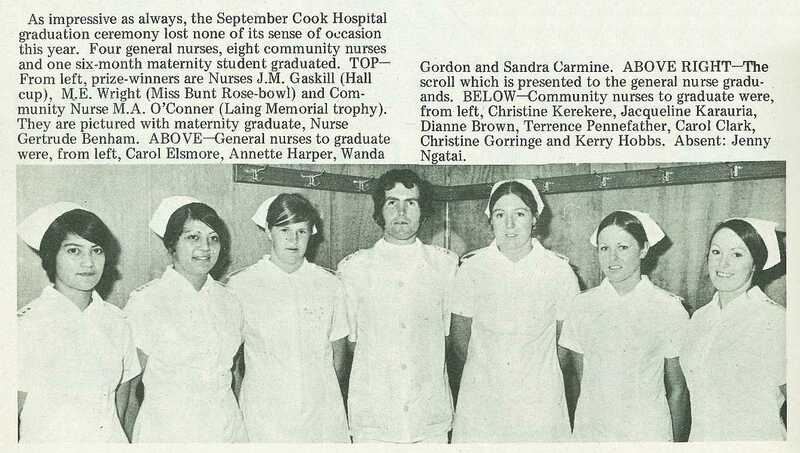 Community nurses to graduate were, from left, Christine Kerekere, Jacqueline Karauria, Dianne Brown, Terrence Pennefather, Carol Clark, Christine Gorringe and Kerry Hobbs. 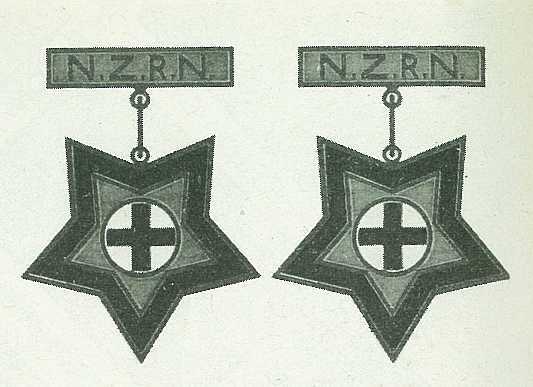 Absent: Jenny Ngatai.